Hello friends! It’s getting to be the time of the year where the weather gets a little colder, people move a little slower, and the mass of Holidays is just around the corner. Last time I wrote was a few weeks before the Portland Regional Championship and we explored some Expanded decks I had been testing. In a rather unexpected turn of events, I ended up producing the TCG Stream for the event instead of playing myself. While I do love playing, doing more commentating and stream production has always been an interest of mine so I decided to seize the opportunity. It was a lot more work than I thought it would be and I didn’t have nearly enough time to do everything I wanted, but overall I really enjoyed it and hope I can do it again soon. Lost Thunder is the biggest Pokémon TCG ever released to date, and it comes packed with no shortage of everything from the potentially playable to the apparent powerhouses. Its been an absolute blast trying out all kinds of off the wall ideas and I can’t wait to see what comes out of the next couple of events over the next couple of weekends in the LAIC and Roanoke Regional Championships. My first event in the new format will likely be the Anaheim Regional Championship in the Expanded format, but my testing has still primarily been focused on Standard because that’s where all the hype is right now, and I’m rather optimistic about the impact this set will have on Standard. Y’all didn’t actually think we’d look over Gardevoir for all the shiny new stuff did you? Gardevoir-GX gained an incredible amount of tools from this new set, and I believe it has the best chance to take a Tier 1 position in Standard that its had since the ‘Brokenvoir’ days. The non-GX Gardevoir is not nearly as good as Gallade was, but it is a good card in its own right. Regaining a single prize attacking option is huge even if its not as good as its predecessor. The Alolan Vulpix/Ninetales combo is exactly what this deck has been craving consistency wise for quite some time now. My first few sets with Alolan Ninetales-GX were a bit underwhelming with a more ‘normal’ list that I simply threw a 2-2 Alolan Ninetales into, but as you can see the list has been catered to abusing Mysterious Guidance. I’ve found this to be the most successful so far as it gives you a wide variety of options at every point in the game, and it makes the deck feel more like its Expanded counterpart abusing singleton items with Korrina. The Fairy Charms have been the most interesting cards to experiment with so far. I’ve run into quite a few situations online where I simply win against certain archetypes because they cannot answer the charm, but if this strategy ever becomes even mildly popular, then playing Field Blower can easily negate it. Counter Gain has been an interesting card to use as well. It’s incredible with Alolan Ninetales-GX to use either attack for only one energy, but outside of that it’s largely “fine” on the other things and useless on Gardevoir-GX. With Alolan Ninetales being able to swoop them at a moment’s notice, and the utter lack of Field Blower in the format, all of the one-of tools are infinitely more valuable. 2nd/3rd Tapu Lele-GX – Cutting down the Tapu Lele-GX counts has been a difficult decision, but I think it is correct. You often do not want to use the bench spot for a Tapu Lele-GX unless you absolutely have to, especially in the early game as you would rather leave it open for any of the other options. As long as you have a Vulpix and a Ralts on the board you can generally make it work through the sheer power of Beacon, but early KOs combined with Judge AND missing an early Elm’s could be a quick recipe for disaster. Oranguru UPR – You would think that with Twilight-GX you would have all the recovery you need, but there are times where Resource Management could come in clutch when Twilight-GX is not the correct option. One of the more ridiculous combos I’ve seen come out of this set is Oranguru abusing Counter Gain in order to attack for free while behind on prizes. Between that and Girafarig I’m certain there is some kind of degenerate combo to be abused, but in this deck we would likely use it to get back Max Potions, Fairy Charms, and other impact cards based on the matchup. Diantha, Mina, Sightseer – Unfortunately the Fairy-focused Supporters have been rather underwhelming so far. Mina has been more useful than Diantha, but the issue is finding it at the correct time. Alolan Ninetales-GX can give us access to our whole deck when, but unfortunately getting a Supporter is the most difficult thing to do because we only play 1 Tapu Lele-GX and 4 Ultra Ball. Sightseer has been a fine and much appreciated addition to the pool of draw supporters, but it hasn’t felt particularly impactful in this deck yet. 1 Fairy Charm [N] – It’s kind of funny to me that this charm even exists considering that most Dragons are weak to Fairy, but fortunately enough Dragons are neither good or popular right now so we can keep this in the binder for the time being. 8th Fairy, 2nd Gardevoir LOT, 3rd Max Potion – I think this combination of cards could be introduced to some capacity in order to give the deck a much more ‘control’ feel. I often don’t mind going into the single prize Gardevoir in the early game as the Search 3 can be really powerful for early game setup, and the second copy helps to ensure that happens more often. The additional copy of Max Potion and the Fairy Energy give the deck a bit more stamina overall and allow for further abuse of Brilliant Search. This is a deck I’ve been tinkering with for a while since first seeing a similar successful Japanese concept a while back. The idea is to use the Magcargo to setup ridiculous consistency and powerful energy acceleration all wrapped into one fun package. Magcargo-GX can swing for the fences as needed, and has a full complimentary suite of capable single prize attackers as backup. Victini ♢ thrives in a heavy energy deck like this one. While it will probably only get one attack off per game, the attack should be fueled enough by mid-late game to take an immediate KO. Reshiram SLG and White Kyurem LOT are both very powerful single prize attackers, but do serve slightly different roles. Reshiram gives us an Outrage attack as well as an FFC cost to hit for an easy 130. White Kyurem has two incredible attacks: Field Crush does 30 for CC and discards a stadium, which can ensure your opponent can’t abuse any of the Prism Stadiums for the entire game because you played your Heat Factory ♢ early. The second attack has a ceiling of 190 (!) if it has a fire energy and a choice band attached. The list still feels like it needs fleshed out, but the Magcargo Combo seems way too good to not make a splash, especially with Ditto essentially giving it a ‘5th Slugma’. Other Counter Attackers – There are about half a dozen or so counter attackers that you could reasonable justify including, but realistically those options would need to be based on an expected meta which is incredibly difficult to predict right now. Something that is great about Magcargo-GX is that it can actually accelerate ANY type of basic Energy, should it be discarded off the top of the deck by Crushing Charge. 2nd/3rd White Kyurem – This is something I’ve been toying with a bit lately because I do think this card is pretty insane. Field Crush is a solid first attack, Freezing Flames is insane, and my only real complaint is that its a bit too squishy at 130 HP. The split energy has not been particularly difficult to handle either. Energy Recycle system is an insane card and the Magcargo line is pretty self sustaining once it gets rolling. The more focus that is brought onto White Kyurem the more basic Waters that would need to be played, which could allow Aqua Patch to be played as well. It’s also interesting to note that White Kyurem only needs Fire Energy attached, not basic, making Counter Energy a completely viable solution to that clause. You can even imagine a scenario where White Kyurem has the Counter Energy AND a Counter Gain for max efficiency. 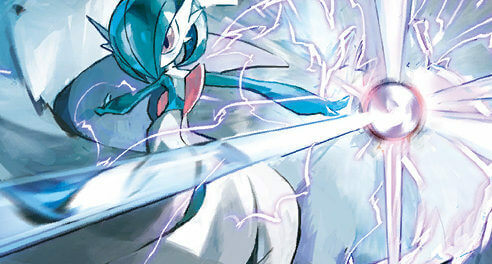 Pure Fire Approach – If you find the White Kyurem idea to be a bit too much for you, then cutting the Water Energy and potentially even the Counter Energies for more Fire Energy is a solid idea. This makes it much more likely that you will be able to streamline Lava Flow by always having fire energy, and you’ll never run into an awkward attack cost situations with the split energy. Reshiram and Victini are incredibly powerful in their own right, and might not even need the White Kyurem backup. Going for all fire energy could even make an option like Turtonator-GX more appealing as well. 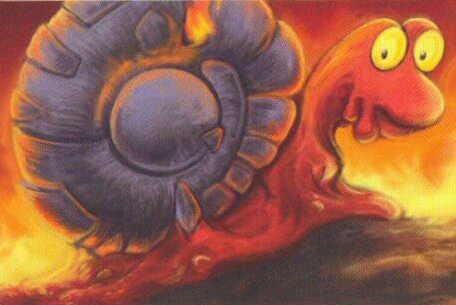 Oranguru UPR / More Control Cards – A control concept with the Magcargos is not quite as ridiculous as it sounds. The constant search nature of Smooth Over can easily give you access to whatever disruptive cards you need for the situation at hand, you just need to ensure you have the proper draw power so you have access to those cards as needed. So I’m not entirely sure why, but it seems to me like Sceptile has flown super under the radar so far. The deck truly has all the tools one could ask for! Grovyle’s consistency add cannot be overstated and adds a whole new element to the idea. The Sceptile from CES is a phenomenal single prize attacker that also gives immunity to Ultra Beasts for anything with Grass Energy attached, which should be more than enough to carry you against pesky decks like Buzzwole and Blacephalon. I tried to keep this version as clean as possible as I think it’s one of those ideas that I’ve put a solid amount of input into. The Lurantis line helps twofold, as both Lurantis are useful. The non-GX is good to reach numbers like the magic 180 with Sceptile-GX’s Leaf Cyclone. The Cherrim is an added bonus against fire decks as they seem more popular now than ever before. Life Forrest has been a pretty useful card, even if I’m only able to get one use out of it. The Prism Stadiums are such a cool concept and I hope we see them find success. Ditto ♢ is probably one of the more surprising under performers throughout testing. Not being able to Candy (or at least place the basic on Ditto) greatly hinders the growth to Stage 2. and forces you to work extra hard to find a Stage 1 you probably didn’t need anyway. Shuckle-GX is definitely going to be making a splash on the format as well. The card is very well designed and obviously powerful. I wouldn’t be surprised to see some folks look to counter it at upcoming events. Decidueye-GX, Meganium, Shiftry-GX, Venusaur SLG – I tried all 4 of these Stage 2s with similar results: close but not quite good enough. The extra Stage 2 lines were clunky and Ditto was not helpful at all with getting them setup. I tried the lines with and without Meganium alongside and the pieces just never seemed to fall together in a very convincing manner. When I lost due to some stumbling, I always felt like it was because I had too much clunk in the way and when I actually got the lines out I felt like I would probably win anyway. I’m starting to think that Ditto is truly only valuable for the Stage 1 decks. I’m optimistic I can get something spicier than Cherrim to flow, but right now the options seem relatively limited. Shaymin SLG, Shining Genesect, Shuckle LOT – I was initially suspicious of Shaymin’s viability, but I thought that Shining Genesect was going to be an A+ addition. Neither of them have panned out very well for very similar reasons: they die too easily. Your only energy acceleration is through Lurantis-GX, and while Leaf Cyclone is only 2 energy you want to be careful with keeping energy into play to keep Powerful Storm swingin’ for the fences. Shuckle LOT was an okay addition and does provide some additional energy acceleration with Energy Drink. However, the excess energy in the discard doesn’t do anything for us outside of give more to throw back into play, so attaching to Shuckle to get two energy into play only provides a net gain of one energy while doing no damage and likely losing a prize. Shaymin LOT, Acerola, Gardenia, 3rd/4th Max Potion – This block of cards would take a step toward making our deck a bit more tanky overall with additional heal cards. Between Shuckle-GX and the two different Sceptile this deck is relatively bulky and can be quite annoying to deal with. 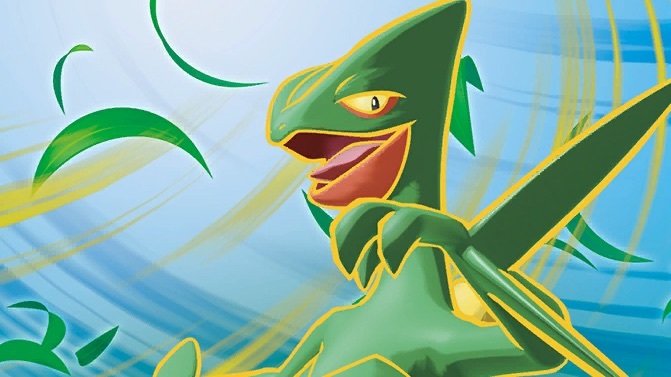 Sceptile-GX’s first attack is for one energy and the second throws an energy to the back, making Max Potion an even more appealing target addition. The problem with Gardenia/Acerola is that there is no Tapu Lele-GX in the deck because nothing can reliably search it out while still allowing access to Wonder Tag. Shaymin LOT’s 20 damage per turn seems pretty weak, especially considering its limited to the active, but with combined with additional forms of incremental healing like Life Forest, Gardenia, and even additional Shaymin then it could be potent. Wobbuffet LOT – This is a VERY interesting card that has been under the radar a bit in set discussions as well. If Ditto is cut from the deck then this becomes an even easier option to throw in, but even with it being in the deck you can either get Ditto Value before putting it into play OR simply throw it in the active, evolve Ditto, then retreat back. Those kinds of plays are definitely more difficult without Float Stone, but this card has a lot of high impact potential in the right matchups. Rare Candy – Finding the balance of copies here has been an interesting task. Rare Candy is a stupid good card, but evolving into Grovyle provides an immediate consistency boost through chaining your evolutions, making Rare Candy infinitely less needed and even sub optimal at times. If I found a way to incorporate more Stage 2 lines then this count absolutely goes up, but if Sceptile is the only Stage 2 then 4 Grovyle / 2 Rare Candy feels like the correct split. Cards on the table I have been feeling somewhat disillusioned with competitive play recently. I’m finding more and more as I get older that the time and energy it takes to be ‘competitive’ really is significant and doesn’t quite get the respect or attention it deserves. Adding on top of that the very basic fact that time is a finite resource that we only have so much of, and you can see the picture I’m painting here. To color that picture in a bit more: I have not attended a single League Cup or League Challenge in Q1 and definitely won’t before the deadline passes. Spending the majority of my Saturday at a card shop playing just doesn’t have the same appeal it used to. That’s not to say I’m completely detached with the game itself. Every time I start testing for new formats I always seem to get a new and invigorated spirit to compete, but simply the minimum # of hours required to get over the finish line of a World’s Invite regarding League Cups/Challenges and absent a string of stellar Regional finishes is not something I’m certain I can commit to quite like I used to. Regardless, y’all should still plan to see me at PLENTY of West Coast events as I do still plan to make it to every single Regional Championship I can swing. As always, please feel free to say hello to me in any venue you see me. I love meeting y’all and you’re the reasons I keep doing this. Until next time!